In our continuing series looking at the stories behind the names of the sporting fields and parks in the Parkes Shire, historyparkes.org puts the spotlight on Berryman Park in Trundle. 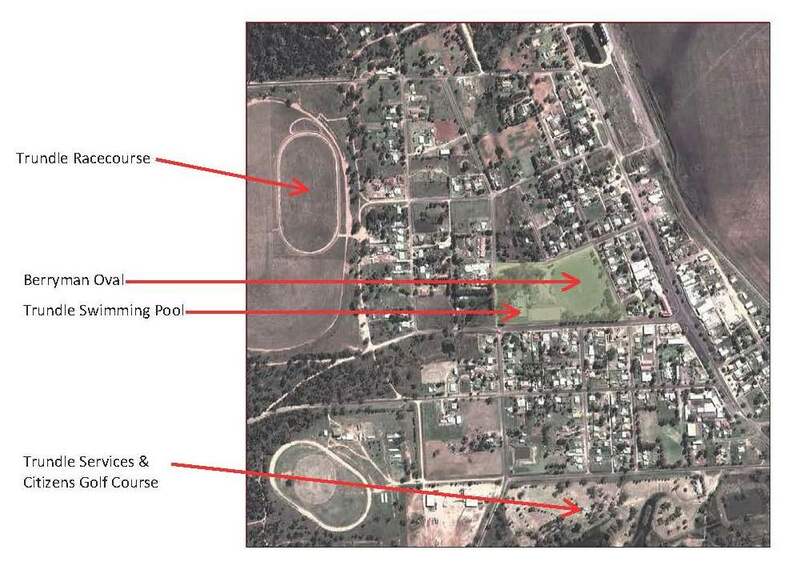 Named after not one, but two hardworking stalwarts of the community – William “Bill” Berryman and his father Richard John Oliver “Oliver” Berryman – Berryman Park (or Berryman Oval as it is sometimes called) is the venue for Trundle’s sporting and cultural activities. Both father and son were farmers – which would be enough to earn them the title of hardworking citizen – however they were both community-minded members of Trundle, and Berryman Park is a fitting tribute to two more inspiring Parkes Shire residents. 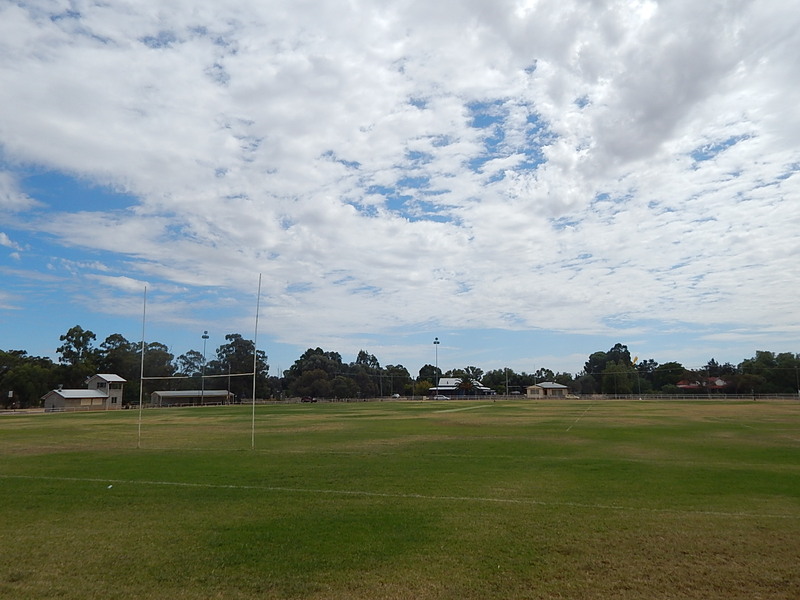 Home of the Trundler Boomers Rugby League team and the Trundle Cricket Club, Berryman Park is the epicentre for all sporting pursuits in Trundle, with Trundle Swimming Pool sharing part of the land. Trundle Boomers play in the Woodbridge Cup competition of Country Rugby League. While not having tasted victory (yet!) in the senior competition, Trundle were runners-up in 2015 to Binalong Brahmans. 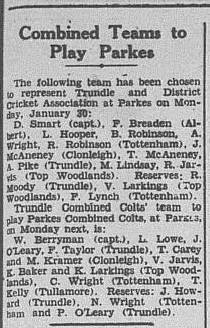 Trundle narrowly lost 30-28 and will be hoping to go one better in 2016. Trundle Cricket Club has experienced more success on their home oval that some refer to as ‘the duck pond’! 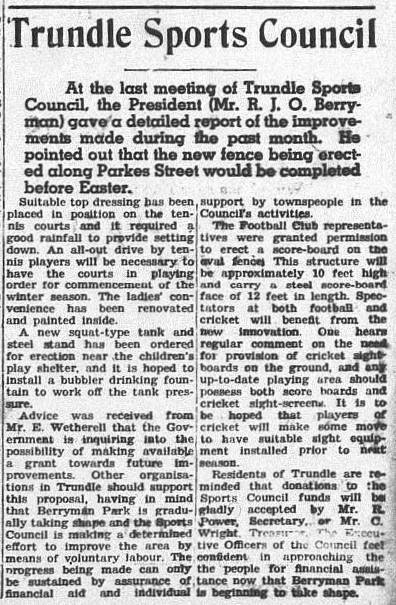 Oliver Berryman was the inaugural president of the Trundle Sports Council. 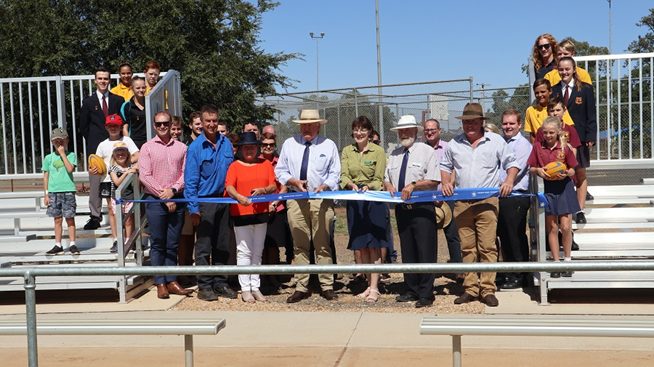 It was due to his hard work and vision to establish the Sports Council, in addition to his tireless efforts once president of the Trundle Sports Council, that Goobang Shire Council decided to name the recreation reserve Berryman Park. 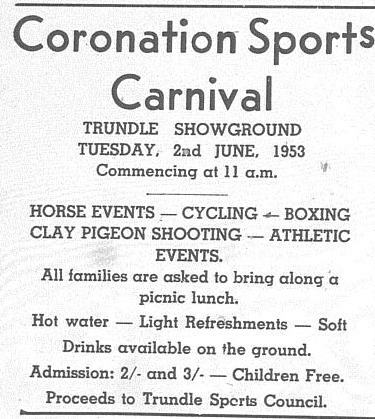 The Queen’s Coronation celebrations in Trundle were celebrated with a “monster” day of sports which was organised by the Trundle Sports Council. At the time RJO Berryman was Sports Council president. 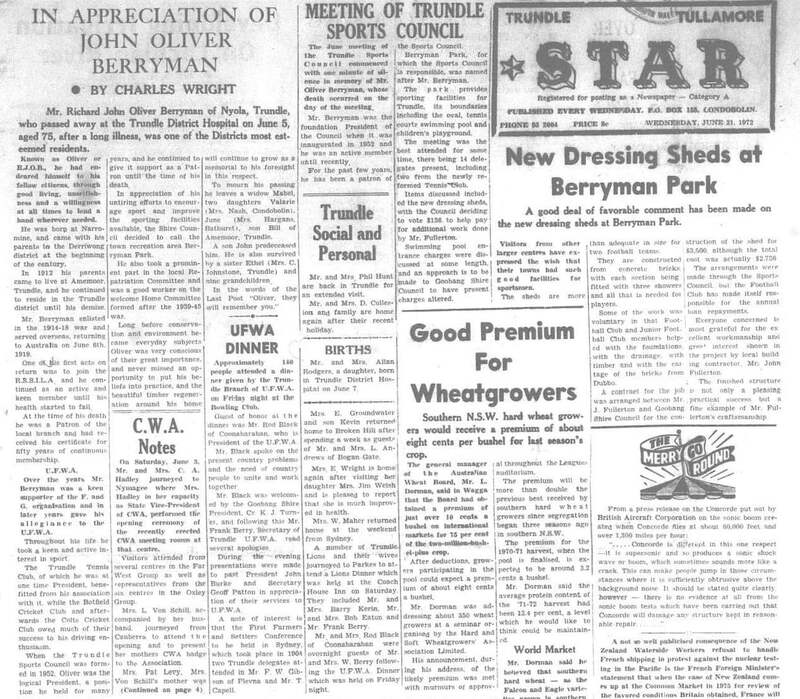 (The Trundle Star Friday, June 5, 1953 page 1) NOTE: The results of the day are listed on the front page of The Trundle Star but the quality has deteriorated over time. To be able to view the report and results clearly click here) This event was a fundraiser to enable improvements to be made to the Park. The third child and second son of Oliver and Mabel Berryman, Bill, excelled at cricket and rugby league in his youth. According to his eldest daughter’s eulogy, Bill was school captain in his final year at Trundle Central School and afterwards was training to be an industrial chemist. Unforunately Bill’s older brother, John, died at the age of 21 due to side effects of leukaemia. 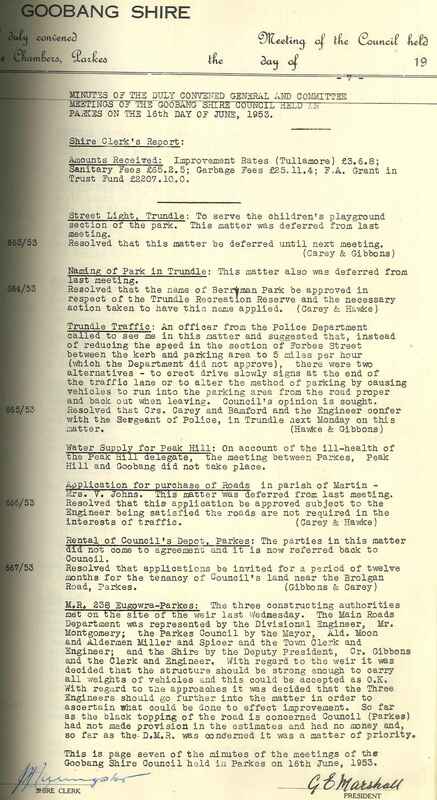 This brought Bill back to Trundle and to a life of farming. The My Trundle website has published the eulogy delivered by Bill’s eldest daughter, Dianne Chiofalo. In this moving and revealing piece, it is reported that Bill and his father were very close, talking on the telephone for up to 2 hours discussing farming and other matters. The eulogy also reveals how community-minded Bill Berryman was, continually promoting the area he lived in by his friendly demeanour, generosity and hospitality. Bill was a good sportsman, known for his cricketing prowess and played for the Trundle Colts while also representing Trundle District XI. Berryman Park today is still the sporting hub of Trundle. The Trundle Boomers play their home games and receive tremendous support from the home fans. 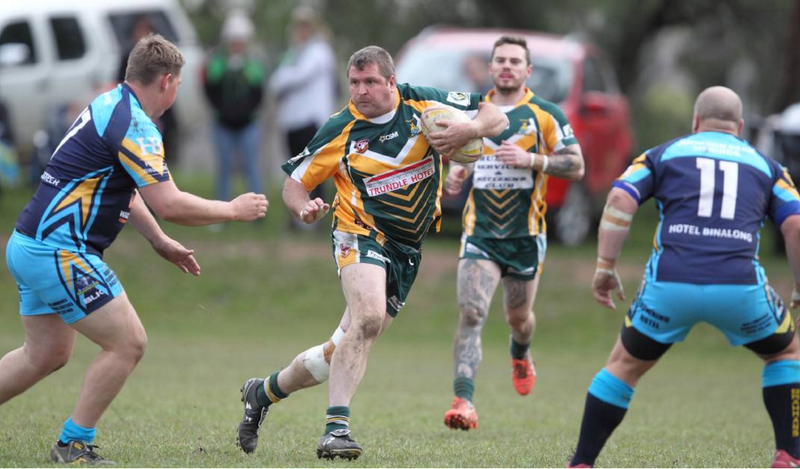 It is hoped that 2016 will be the year that Trundle finally win the Woodbridge Cup after finishing runners-up to Binalong Brahmans in the 2015 grand final. 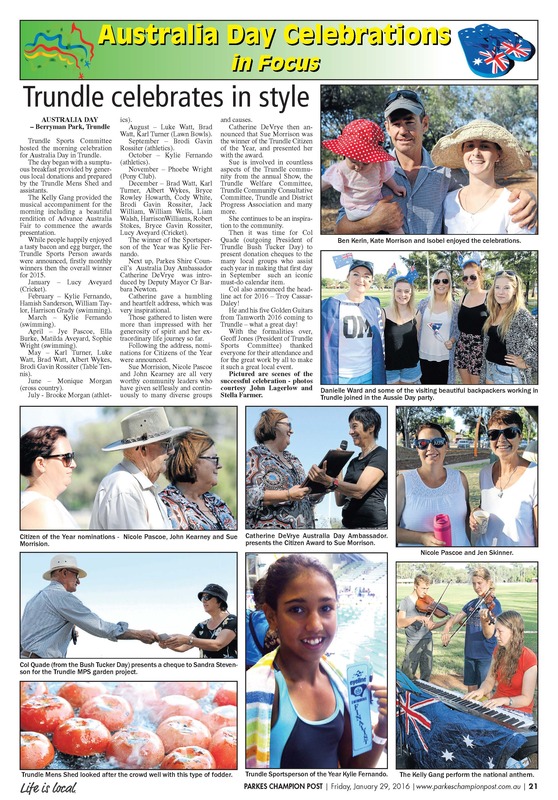 However Berryman Park has also been the venue for significant cultural events, with Trundle’s Australia Day celebrations held there for many years. 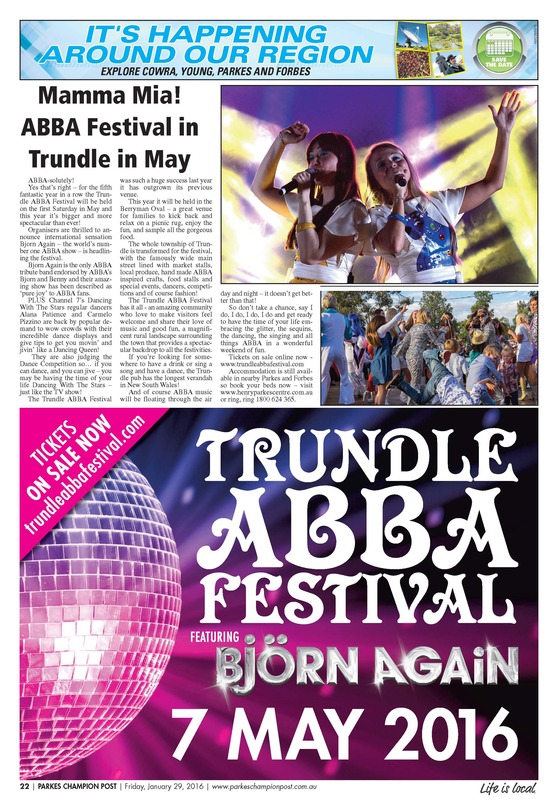 In 2016, Trundle’s ABBA Festival (Australia’s first ABBA festival) will move to Berryman Park, ensuring that the local facility is enjoyed by an even wider audience. 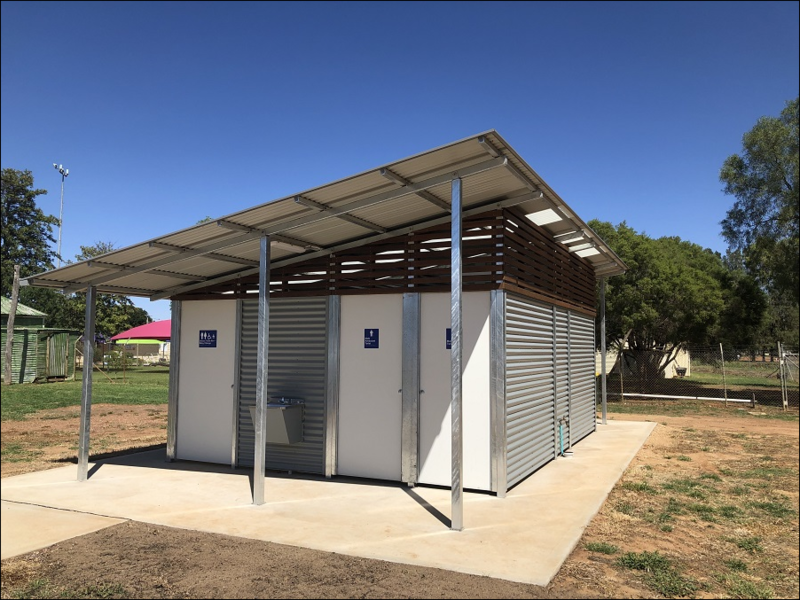 Two major infrastructure projects were showcased in Trundle – a new amenities complex at Trundle Showground; and completed upgrades to Berryman Oval. Present for the ribbon cutting was the Hon. Rick Colless, Parliamentary Secretary for Western NSW. Pictured in the photograph are (front row, left to right): Ben Howard (PSC), Peter Kelly (Trundle Progress Association), Cr Barbara Newton, Rick Colless MLC, Kate Hazelton (Nationals Candidate for Orange), Cr Ken Keith OAM, Andrew Rawsthorne (Trundle Progress Association), Gus White (Felton Industries – one of the suppliers, they did the grandstand seating). Other people in the background include Trundle Central School Students, Trundle Boomers Rugby League Football Club, Council’s Presentation team, Trundle ABBA Festival. Photograph by Katrina Dwyer (Parkes Shire Council) taken on February 21, 2019. 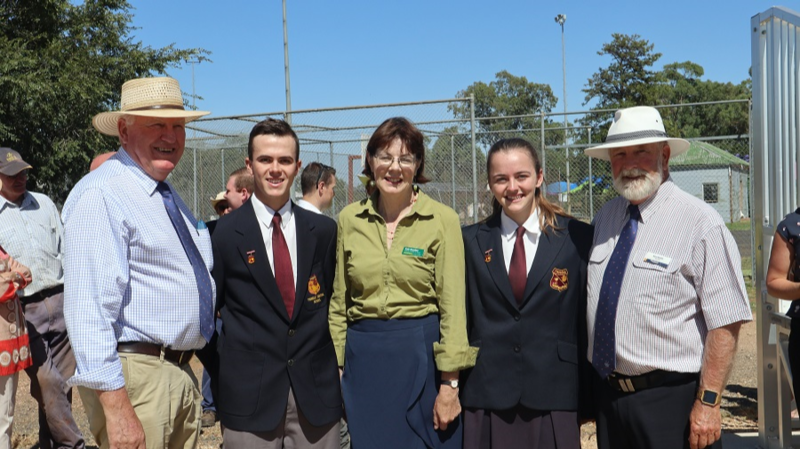 Trundle Central School’s 2019 Captains – resplendent in their uniform – accompanying the honoured guests at the opening of Berryman Oval’s upgrades are (left to right): Hon. Rick Colless MLC, Harrison Williams (TCS School Captain), Kate Hazelton (Nationals Candidate for Orange), Monique Morgan (TCS School Captain), and Cr Ken Keith OAM. Photograph taken by Katrina Dwyer (Parkes Shire Council) on February 21, 2019. Parkes Shire Library would like to thank the following people and organisations for their information and photographs that helped make this post possible: Andrew Rawsthorne – the unofficial “Mayor” of Trundle who does so much to promote Trundle – the My Trundle website and the Berryman family, in particular Dianne Chiofalo. 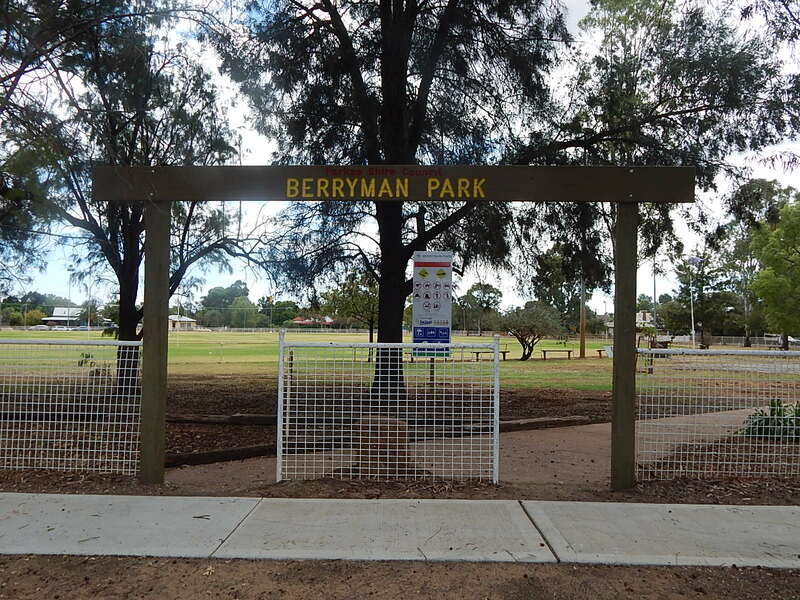 If you have stories or memories that happened on Berryman Park (or memories of the Berryman family), please contact dan.fredericks@parkes.nsw.gov.au so that they can be shared. Alternatively you may leave comments on this page. Sandie Ward (March 11, 2016). Sign for Berryman Park, Trundle[Photograph]. Parkes Shire Library. Watts, J. P., & Wright, C. F. (1987). 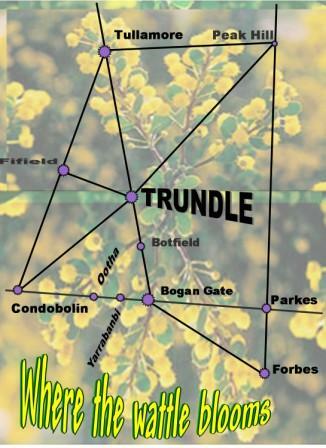 The Story of Trundle: A Country Town and Its People. Trundle, N.S.W. : I. Berry and J. Curr. McGrath, Nick. “Trundle Booms into History Books.” Parkes Champion-Post. N.p., 24 Aug. 2016. Web. 25 Aug. 2016. Katrina Dwyer (February 21, 2019). 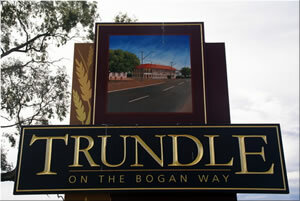 Spotlight Shines On Community Infrastructure Projects in Trundle[Photograph]. 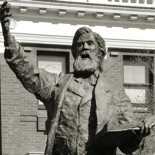 Parkes Shire Council, Parkes. Katrina Dwyer (February 21, 2019). School Captains and Honoured Guests in Trundle[Photograph]. Parkes Shire Council, Parkes. Katrina Dwyer (February 21, 2019). 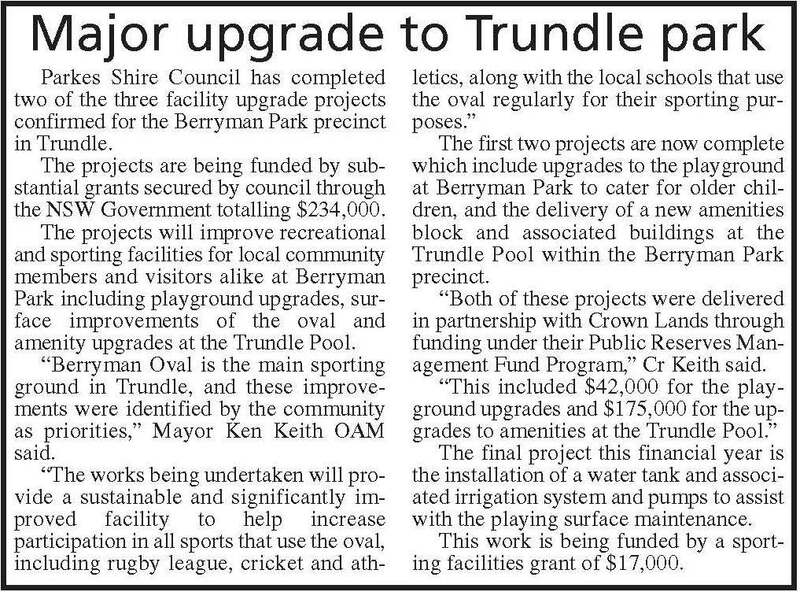 Berryman Oval’s New Amenities in Trundle[Photograph]. Parkes Shire Council, Parkes. This entry was posted on March 11, 2016 by parkeslibrary in 1910s, 1920s, 1930s, 1940s, 1950s, 2010-2015, beautification, Berryman Park Today, famous people of Parkes Shire, First World War soldier from Parkes Shire, football, General history, parks, Richard John Oliver Berryman, sporting fields, Trundle, Uncategorized, William Trevor Berryman, World War I and tagged 6th Field Artillery Brigade, Andrew Rawsthorne, Australia Day, Aviemoor, Berryman Park, Bill Berryman, Binalong Brahmans, Bjorn Again, Botfield Siding, Chas F Wright, Coronation Sports Carnival, Country Rugby League, Ensign Cup, Eugowra, famous people of Parkes Shire, Fifield, First World War, Goobang Shire Council, Grinsted Cup, history, Janice P Watts, Mabel Berryman, My Trundle, Narromine, Oliver Berryman, Parkes, Parkes Shire, Parkes Shire Council, Parkes Shire Library, Queen's Coronation, RJO Berryman, RMS Orontes, rugby league, sporting fields, Trundle, Trundle ABBA Festival, Trundle Boomers, Trundle Central School, Trundle Colts, Trundle Combined Colts, Trundle Cricket Club, Trundle District XI, Trundle RSL Sub Branch, Trundle Sports Council, Trundle Sports Council President, William Trevor Berryman, Woodbridge Cup.